Kim Slade has worked as an arts educator for 25 years. She has also worked as a producer, director, and actress. Kim has produced and cast live Industrial shows for a huge range of national clients including companies such as Land Rover, Nortel, CNA, and MacGregor Golf. 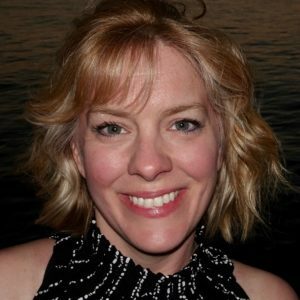 As a member of Actor’s Equity, Kim’s performance credits include featured roles in Alice in Wonderland, Chicago, The Heidi Chronicles, Lies and Legends, The Music of Harry Chapin, An Enemy of the People, Christmas in New York, The Dining Room, The Fantasticks, Going to See the Elephant, Portrait of a Madonna, An Actor’s Nightmare and An Evening with Tennessee Williams. Kim has also produced and/or performed in numerous film, TV and commercial projects, including the children’s television program Big Fun, Little Playhouse and the feature film Curdled starring William Baldwin. 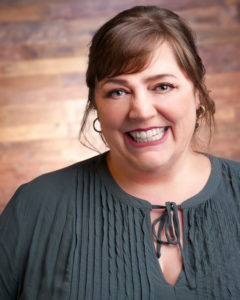 Prior to co-founding The Performing Arts Project, Kim served as Program Director of Broadway Theatre Project, where she worked in various capacities, including as a faculty member for 20 years. She is a graduate of the University of Tampa and studied theater at the University of Florida and the Burt Reynolds Institute and Theatre in Jupiter, FL, where she also performed as a Resident Company Member. In addition to co-founding The Performing Arts Project, Juliet also co-founded the Key West Theater and is currently a theatrical and film producer. Her recent producing highlights include: Hedwig and the Angry Inch, directed and choreographed by Broadway choreographer Andrew Palermo, the new plays Locura (staged most recently at Guild Hall in East Hampton), and Eclipse, as part of the first theatrical exchange between the U.S. and Cuba in more than 50 years; the world premiere of the original musical Oklahoma Smith and the Pantheon of Annihilation; the East Coast premiere of Throw Me on the Burnpile and Light Me Up by Oscar-nominee Lucy Alibar; the short film Frances Eaton: the Untold Story of a World Champion, which she also wrote, directed, and starred in, as well as numerous shows and fundraisers including the annual island-wide Tropic Cinema 72-Hour Film Challenge in Key West and Let Me Try That Again at 54 Below in NYC. In addition to her producing career, Juliet helped create the Drama Club at Key West High School, where she currently coaches the students. Juliet was also the Artistic Director of the Key West Theater from 2014-2018, has written more than 1,000 articles for AOL, Delta Sky, Glamour, and NBC, among others, and also written a travel book on the Florida Keys published by Globe Pequot Press in the fall of 2018. Past theater highlights include: earning her Equity card as a company member at the Burt Reynolds Theatre, where she wrote and debuted Where’s Romeo? ; performing stand-up at The Comedy Store in LA; working on numerous projects with her mentor Ann Reinking, including Paul Newman’s Hole in the Wall Gang Camp benefit and Broadway Theatre Project, which Juliet left after 20 years of involvement to co-found The Performing Arts Project; performing improv as a company member at Upright Citizen’s Brigade; directing and producing numerous shows and fundraisers including the annual Short Attention Span Theatre at the Red Barn Theatre in Key West and The Laramie Project, starring Romaine Patterson as herself in NYC with Back House Productions. Dave began his career as a performer on Broadway with roles in Les Misérables, The Civil War (original company), The Scarlet Pimpernel (original company and Chaeuvelin on original concept recording). He was seen as Jean Valjean in the National tour of Les Misérables (2 years) and the National tours of Jekyll and Hyde as well as the pre-Broadway productions of Whistle Down the Wind (by Andrew Lloyd Weber, directed by Hal Prince at The National Theatre in DC) and Jekyll and Hyde (The Alley Theatre, Theatre Under the Stars, Seattle’s 5th Ave. Theatre). He was also featured as Corin/Amiens/Hymen in As You Like It at the Tony Award-winning Alley Theatre in Houston, Texas. Other roles have included Che in Evita, Freddie in Chess, The Teen Angel in Grease, Dinadan in Camelot (starring and directed by Terrence Mann) and Richard in The Lion in Winter. Click here to see Dave’s full bio. 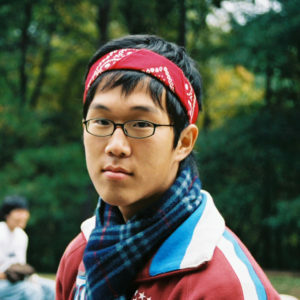 was born in Seoul, raised in Atlanta, and is currently based in New York City. James is the creator of Dancers of New York, a project where dancers are interviewed and photographed at various subway stations around the city. The project has been featured on French edition of Vanity Fair and Marie Claire as well as other various magazines. He also helps performing artists be successful in their pursuit through his headshots, dance shots, and performance reels. He is married to his wonderful high school sweetheart, Alicia, who is a Radio City Rockette. 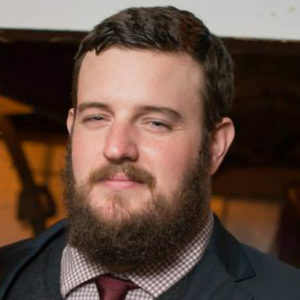 Jon Rhoads is a designer/photographer/editor/writer/filmmaker from South Florida who has written several plays including Roshambo which was produced at the Key West Theater in 2014. 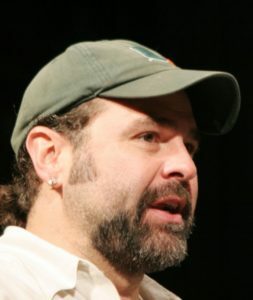 In addition, he has written and directed several award-winning short films such as Buzzcut and Fried Pickles. He studied electrical engineering at the University of Florida and now realizes that was an absolute waste of time and money. Jon co-founded Bubba Prime Films in Key West and operates his own design company, Butcher Design Co.
We are incredibly saddened to have lost one of our founders, Rick Pessagno, in 2018. He played an invaluable role in creating The Performing Arts Project. Rick will be missed more than words can express. He will forever remain in our hearts. 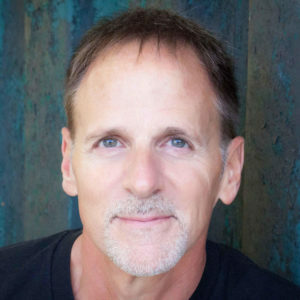 Rick Pessagno was a New York-based stage manager, choreographer, director, producer, and performer with more than thirty-five years of experience as a working professional in the business. He performed on Broadway in the companies of Whoopee, 42nd Street (dance captain), and Sophisticated Ladies, and the first national tours of Chicago, Fiddler on the Roof, and 9 to 5. Rick appeared in the Los Angeles company of Cats, and the Las Vegas companies of Mamma Mia! and Chicago, in the Pittsburgh Civic Light Opera’s Gypsy, Kismet, and Anything Goes, the Goodspeed’s Tip Toes and Whoopee, and in countless other regional productions including Hellzapoppin’ starring Jerry Lewis, Cinderella, Evita, Jesus Christ Superstar, Kiss Me Kate, The Merry Widow, Leave it to Jane, The Boys from Syracuse, Sugar Babies, and Pal Joey. He choreographed more than a hundred productions, industrial shows, and special events in Las Vegas and around the country.